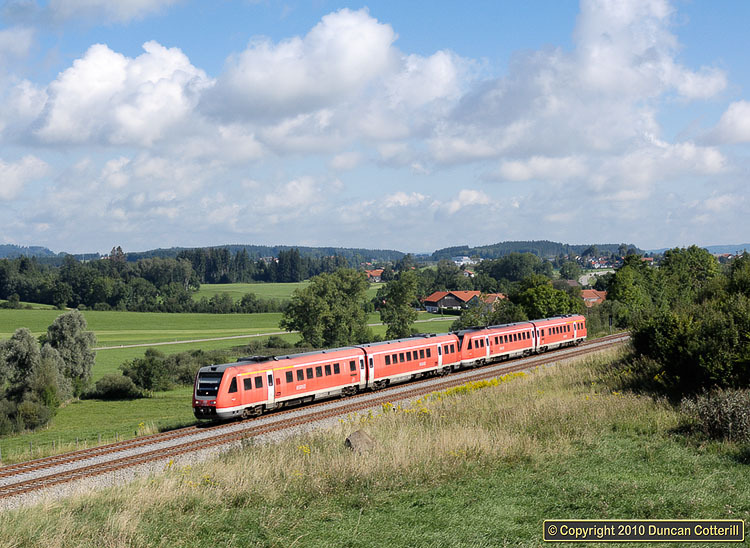 The majority of services on the Allgäubahn are currently worked by these class 612 DMUs, making the division and combination of trains at Immenstadt easier than if loco hauled stock was used. Although they photograph well, they aren't pleasant to travel in, being more cramped and much noisier than the loco hauled sets that preceded them or the class 642 units that work elsewhere in the region. 612.086 and 612.077 approached Martinzell with train RE32732 from Augsburg to Lindau and Oberstdorf on 24 August 2008.